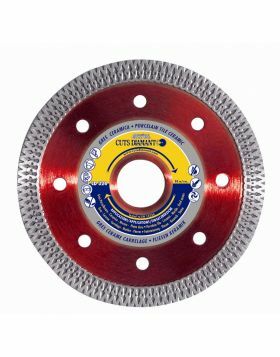 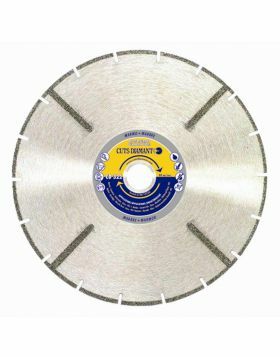 Diamond blade CD 325 with continuous turbo rim which is 10mm high. 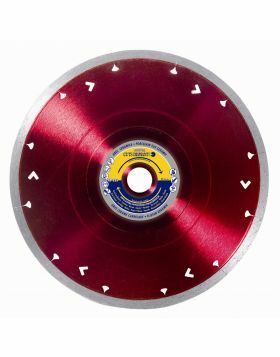 Available in diameters from Ø115 to 350mm for both dry and wet cutting. 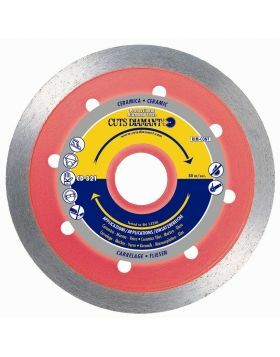 This diamond saw disc is recommended for cutting porcelain marble, single fired tiles, ceramics and hard stones. 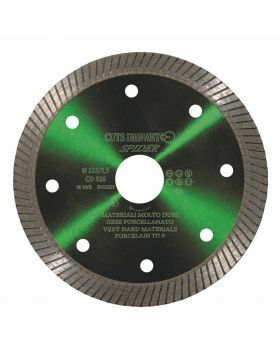 To be used on grinders, cut-off and table saws which mount diamond blades.